Most writers are aware of virtual book tours for novels, some have taken a closer interest in them and some have run their own tour promoting their own novel. But what if you are working on a non-fiction book? Are Virtual book tours suitable for non-fiction works? Jennifer Roland has asked these questions, found the answers and run a successful blog tour that promoted her non-fiction book. Addressing a tight niche, in a technical market, her book’s marketing requirements are distinctly different from those of a fiction novel. If you are writing or considering a non-fiction work, then you will find her experiences most interesting. This week she has taken the time to answer a few questions for us and let slip some secrets of a non-fiction blog tour. 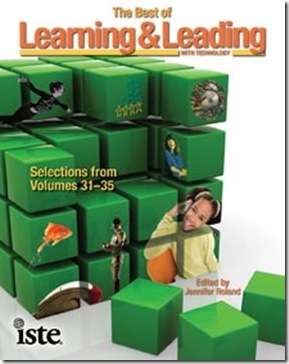 Most of my readers will be familiar with a blog tour for a fiction book but your recent tour was for your non-fiction book, ‘The Best of Learning & Leading with Technology Selections from Volumes 31-35′. Obviously your book is completely different from a fiction book and I suspect the marketing has its differences to. When you were planning the tour were there any distinctly different considerations you had to allow for? The really interesting difference is that people who host fiction blog tours know what a blog tour is. I found myself doing a lot of education with my hosts about what a blog tour is, why I would do it, and how I would handle the book giveaway. That was a nice opportunity for me, though, because I learned to be razor-sharp in my focus and in my ability to describe the benefits and procedures of a blog tour. There was also a learning curve among readers. On a typical fiction blog tour, it is common to have hundreds of commenters vying to win the book. 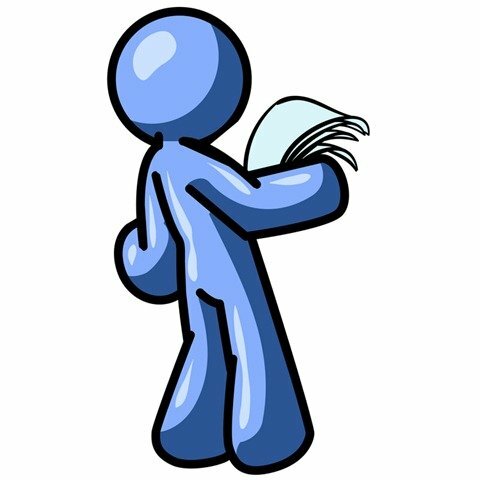 However, these blog readers are not looking for entertainment; they are looking for solid information that will help them better reach their students and better prepare them to enter the world. Some blogs only got one comment, even though there were many visitors. I did have one fellow who got it right away and followed me from blog to blog until he was selected as one of the winners. He was very supportive and even tweeted about how much he liked the book after he received his copy. The most heavily commented post was on the Free Technology for Teachers blog. The host asked his readers to submit their best technology integration ideas, and then to vote for the best one. The person who submitted the best idea received the copy of the book. I have learned a lot about how to construct a tour for this audience, and if I do a virtual tour to support my next books, I will take a much more organized approach to it. I’ll mix it up a little and find hosts who want to do the contest approach instead of random drawings. It brings more reader engagement and excitement. Oh wow! What a brilliant idea, asking for reader input and then awarding the prize via voting from the very same readers. I really like that and I can see where it could be used on fiction tours. If the author hides information in the first chapter and sampled it with the blog tour, then he/she could base a quiz on the information. Prize minded readers would be sure to take a much closer look at the novel. I’ll have to think on that and see what other ideas come to mind, not to mention considering another revision of my first chapter. You mention taking a “much more organised approach” to another tour, with all that you’ve done you must now have a sound knowledge of the major stages a non-fiction blog tour has. So on your next tour, how different would be the scope of the tour and how much time would you allow for each of the stages? Also from what you know now how big should an authors first tour be? There are so many different ways to engage with readers beyond just talking about your book and giving away a copy. The drawback is that processes that include collecting feedback and then allowing readers to vote on the responses take a lot longer than a simple random drawing. I used Christina Katz’s Writer Mama anniversary tour as my model. 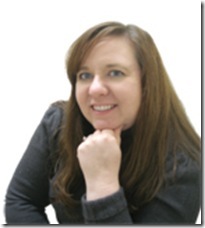 Christina visited 31 targeted blogs in March and gave away one copy of the book each day. It was a whirlwind event that concluded quickly. I expected my tour to work that way, but that was not the right model for my audience. They required a more intentional approach than just commenting to enter a random drawing. The voting model was the most successful, eliciting the most comments and interaction with readers, and I would suggest that authors look at how their topic could allow a more rich interaction. In the future, I think I will allow at least a month for the tour. I think it makes more sense to run each contest for a week rather than a day. I will work with the blog host to design a unique contest that fits their readers rather than expecting the same type of giveaway process to work on every blog. Each author’s case will be different, but I would recommend that you keep the tour going as long as you can manage. If you do daily giveaways, two weeks to one month is probably sufficient. But, if you do one giveaway per week, you might want to stretch it out over six weeks or two months. And keep up your promotional work even after your tour ends. I recently saw Caroline Miller speak about book marketing, and she told us that we needed to do at least one thing to market our book every day. That could be something as small as asking a friend to request a copy of your book at their local library or something larger like an in-person signing event. I noticed an ‘if’ when you said “if I do a virtual tour to support my next books” is there some question over the value of the tour or are there other factors to consider when promoting a non-fiction book? I’m pretty sure that a blog tour will be the right way to promote my next books, but each book is its own beast, and not all promotional methods apply. There may be reasons my co-authors and I decide not to do a virtual tour. We might look at conference appearances or some other way of promoting instead. I’m intrigued with the problem you faced with having to educate the blog hosts and explain to them about the benefits of a tour. So obviously these were not ‘book’ type blogs. I know Camy Tang on her tour blogged on cooking, Christian and sewing blogs during the tour, so your lessons learned can be helpful to all authors. Would you mind outlining the main points someone needs to make, when pitching a blog tour to a non-book site? I love that Camy Tang went beyond the typical fiction blogging world to the topics that relate to her novel. It’s really smart to open your market up like that. But it does bring that level of education that book bloggers wouldn’t typically need. First, have a clear idea of what type of post you want to do when you pitch it to the blog owner. See if they have had guests before and what types of posts seems to elicit the most reader feedback. See if the principles they applied would work for your visit. Second, mention that the post will include some sort of giveaway. The giveaway doesn’t have to be a copy of the book–it could be a related item. If I’d been able to give away a netbook in relation to my post on netbooks, that would have been awesome. A more reasonable prize might be a piece of costume jewellery that one of your characters wears or a gift basket of a character’s favourite products. When I complete my novel and get it published, I might give away a gift basket of items from the city in which the story takes place. Or a gift certificate to iTunes so a reader can purchase the songs the characters listen to or that served as character and setting inspiration. There are so many options that won’t place an unnecessary financial burden on the author. To be completely cliché, think outside the book. Third, include a description of how you see the process working from your end so that the blog owner can see what work will be required on their part. If you want your hosts to promote the visit with preview posts and social networking, mention that as a possibility. If you will be promoting your tour, let them know what traffic you can drive their way. Many of my hosts had never had guest posters, so they weren’t sure what they would need to do to make it happen. In a fiction tour, choosing which site the author spends the most time and effort on is simply judged by how many visitors a site receives. In promoting your latest book were there any more strategic choices made when selecting blogs? My main goal was to get the word out to a broader audience than the typical ISTE member. ISTE has a wonderful membership base and good marketing opportunities with the regional ed tech organizations. But there are many educators out there who aren’t ISTE members but who have responsibility and passion for integrating technology into their teaching. These educators were the target for my blog tour. Because of this goal, audience size was an important factor, but even more important was finding the right fit. I approached authors whose articles I included in the collection. I also approached leaders in educational technology who hosted blogs. I had a nice mix of ISTE faithful and new voices. That is a nice term, “the right fit” it so succinctly sums up what to seek out in a blog tour host. Novel authors have to seek out genre specific communities, groups and book clubs, when finding their “right fit”. 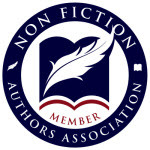 Although this avenue must have been mostly closed to you, there are professional and trade associations that might provide a source for a non-fiction author. I notice you are a member of the ISTE and helped out with NECC, did you find that having a membership of associated trade bodies and interest groups helped you with finding an audience with the right fit? I am lucky to have a publisher that carries a lot of weight in the educational technology world. Being able to reference ISTE when speaking about my book is a huge help in bringing credibility to the work and to the blog tour. I also had personal relationships with a lot of influential ISTE members from my time on staff that helped me make connections. When I approached Willy Kjellstrom so do a guest post on his blog (http://edfoc.us), I had no idea that he was a student of long-time ISTE author Glen Bull. I served as an editor on many of Glen’s columns. That personal connection was a great help in building a fast relationship with Willy. I had a nice time working with him on his blog. And finally, many blog tours use a prize giveaway to harvest the e-mail addresses of visitors. On your tour you didn’t do this, instead you used a comment based lucky draw and each day gave away a copy of your book, presumably to attract visitors. I was wondering what considerations you had when selecting what might be used as a prize and for it to be attractive to your audience? Educators are very sensitive about being sold to, and I wanted everyone involved to be clear that my goal was to introduce myself and this collection of articles, not to take their email addresses and use them to promote future endeavours. Awareness was goal #1, and everything else was a bonus. Jennifer Thank you for spending the time with us and we wish you the best of success with your book. Thank you, its been a pleasure. Jennifer Roland is a writer living in the Portland, Oregon, area. She holds bachelor’s degrees in magazine journalism and political science from the University of Oregon. Her education also focused on history, economics, linguistics, and educational policy and management. Before embarking on her freelance career, she was a staff member of the International Society for Technology in Education, a non-profit educational technology membership association. She served on various ISTE periodicals, including Learning & Leading with Technology, the Journal of Research on Technology in Education, and the targeted journals and newsletters. She also helped edit program materials for the National Educational Computing Conference and ISTE books. Jennifer offers writing and editing services. Contact her at jennifer@jennifer-roland.com or visit the Roland Media Services page for more information. See a sampling of published works. Find her work history on her professional resume. Thanks for hosting me! I had a great time chatting with you about my blog tour and the lessons I learned. I hope my experiences can help writers at all levels make the right promotional decisions for their work. Jennifer thanks for being so.. so.. so.. nice! Best of luck with your current book and your next one. Hi Jennifer and Andy .. that was really interesting and a good resource to come back .. and it’s interesting to know that virtual tours are also possible ..